This introductory textbook presents a variety of approaches and perspectives that can be employed to analyze any sample of discourse. The perspectives come from multiple disciplines, including linguistics, sociolinguistics, and linguistic anthropology, all of which shed light on meaning and the interactional construction of meaning through language use. Students without prior experience in discourse analysis will appreciate and understand the micro-macro relationship of language use in everyday contexts, in professional and academic settings, in languages other than English, and in a wide variety of media outlets. Each chapter is supported by examples of spoken and written discourse from various types of data sources, including conversations, commercials, university lectures, textbooks, print ads, and blogs, and concludes with hands-on opportunities for readers to actually do discourse analysis on their own. Students can also utilize the book’s comprehensive companion website, with flash cards for key terms, quizzes, and additional data samples, for in-class activities and self-study. 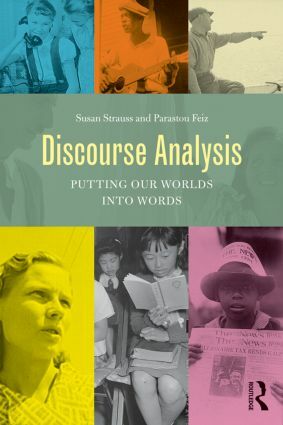 With its accessible multi-disciplinary approach and comprehensive data samples from a variety of sources, Discourse Analysis is the ideal core text for the discourse analysis course in applied linguistics, English, education, and communication programs.